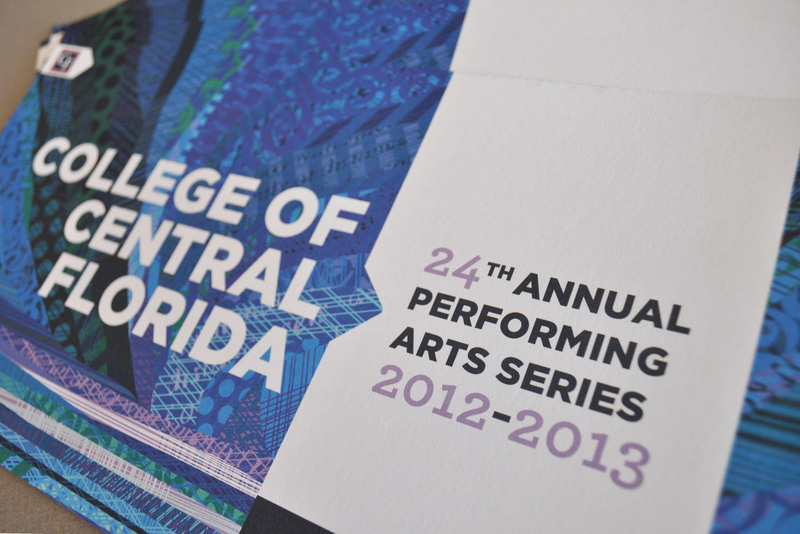 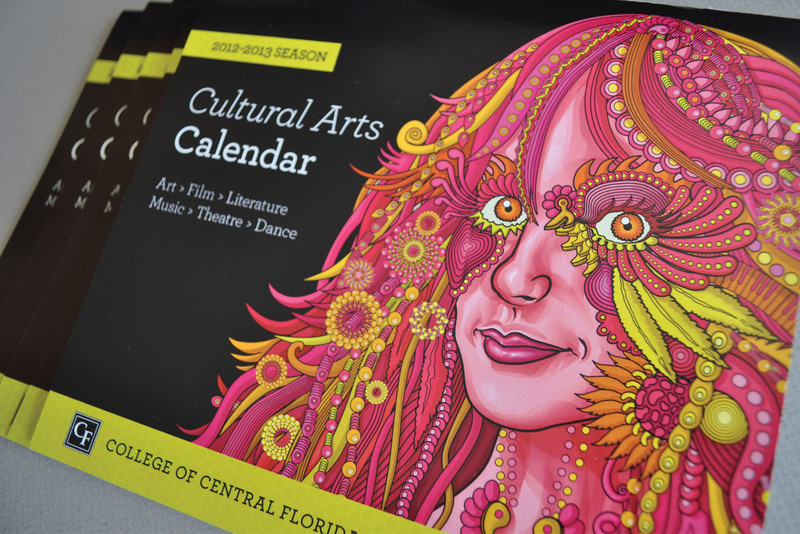 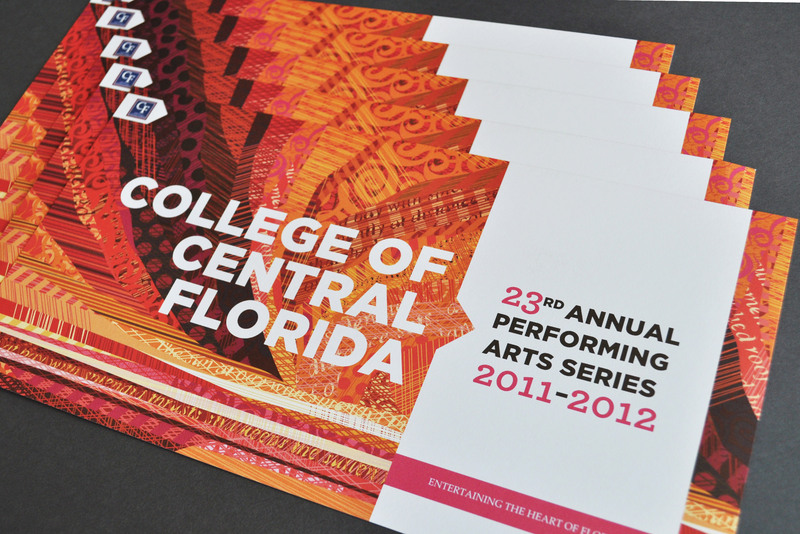 Each year, the College of Central Florida creates their annual wall calendar highlighting artwork made by their students and faculty. 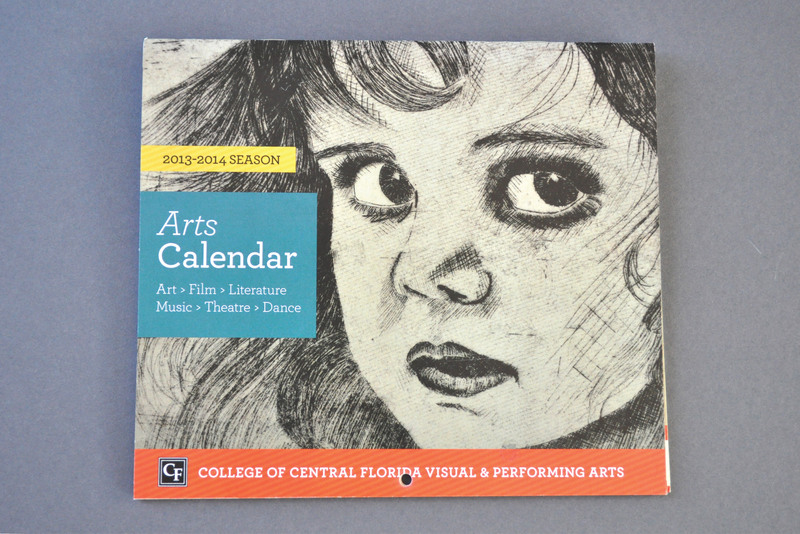 The art ranges from illustration, to photography, to drawing, to painting and more. 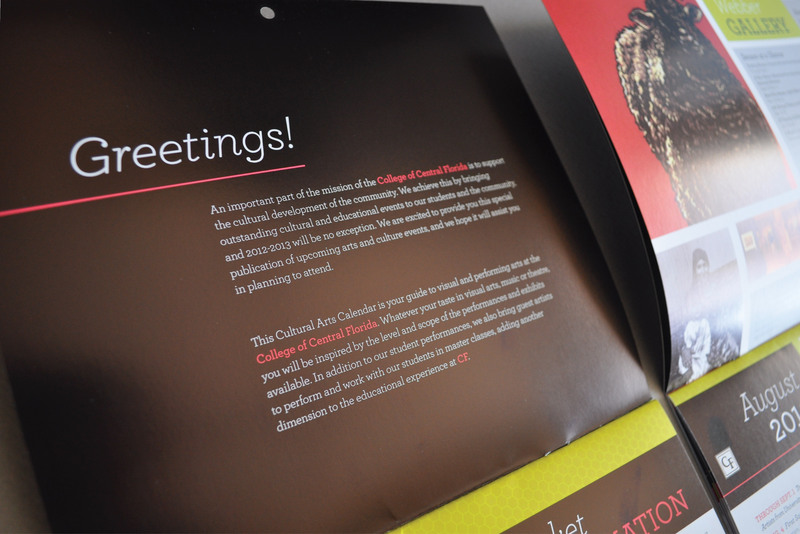 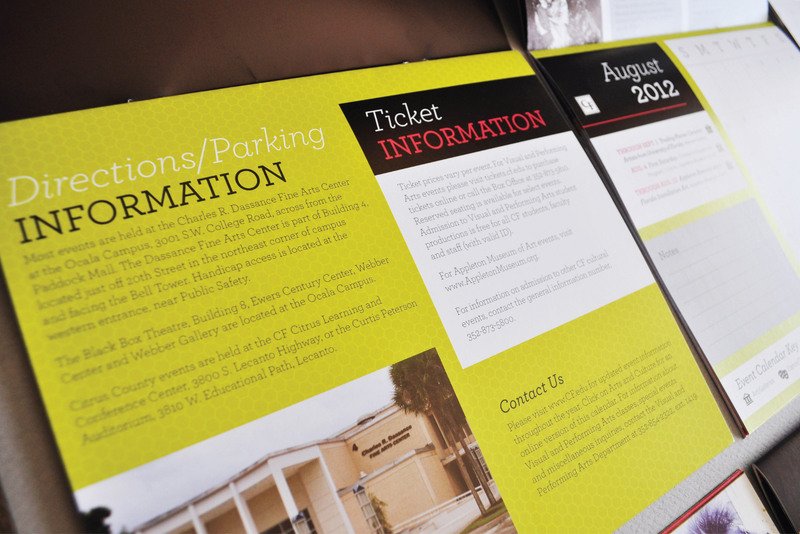 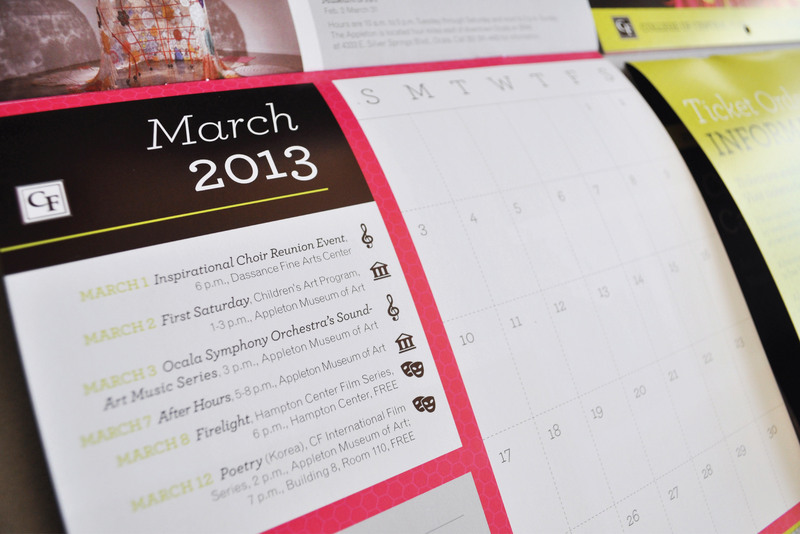 It also includes all of that year’s events for the College to help increase attendance at events throughout the year. 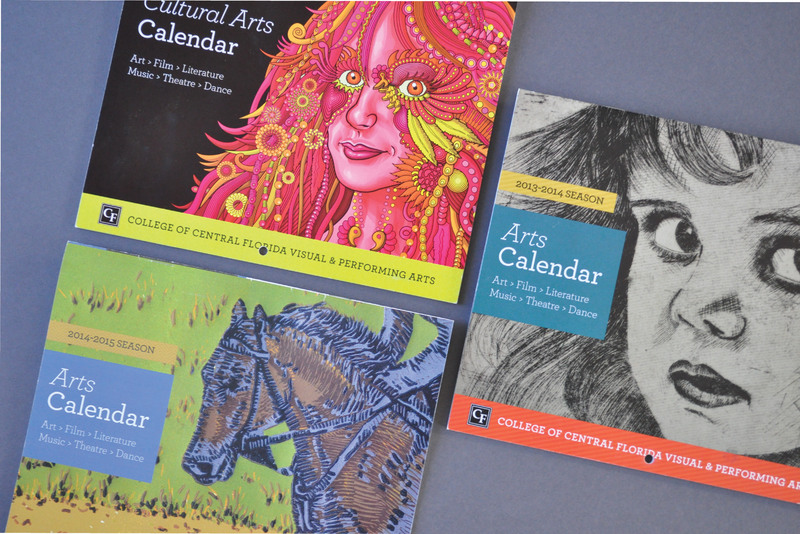 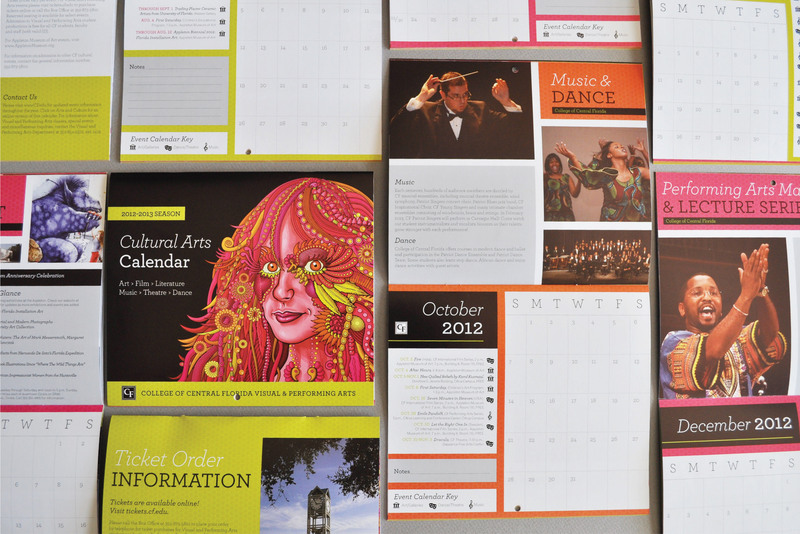 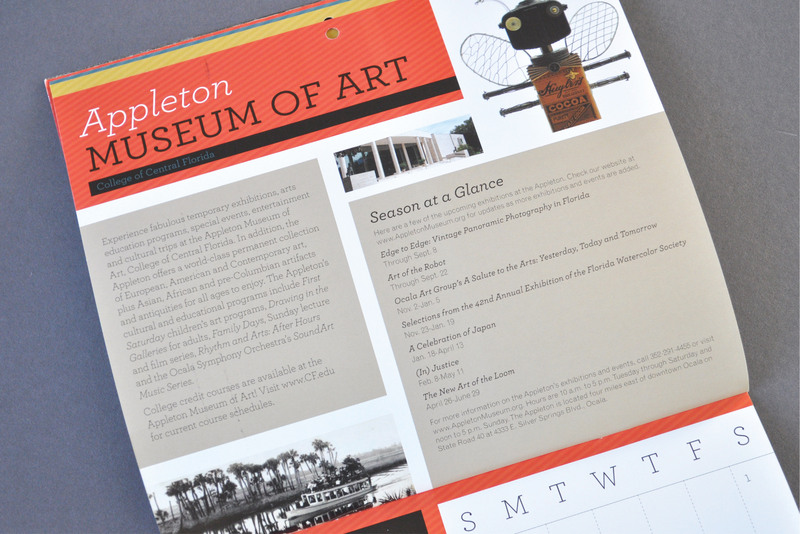 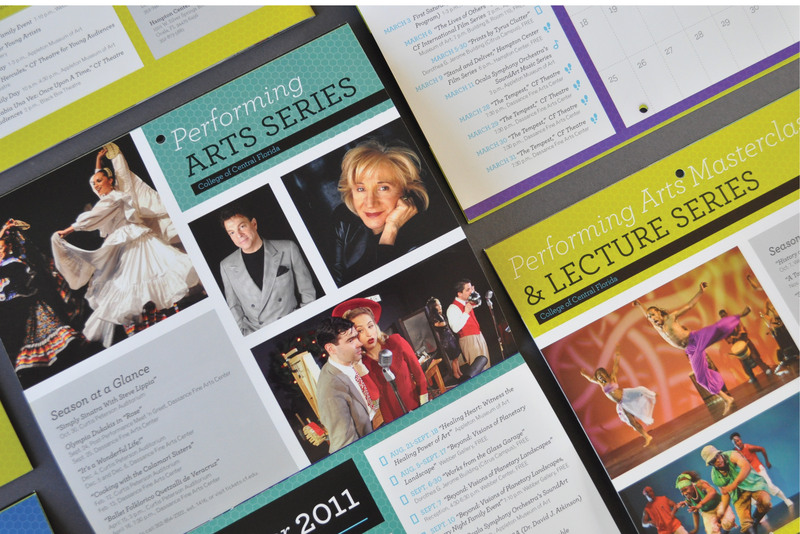 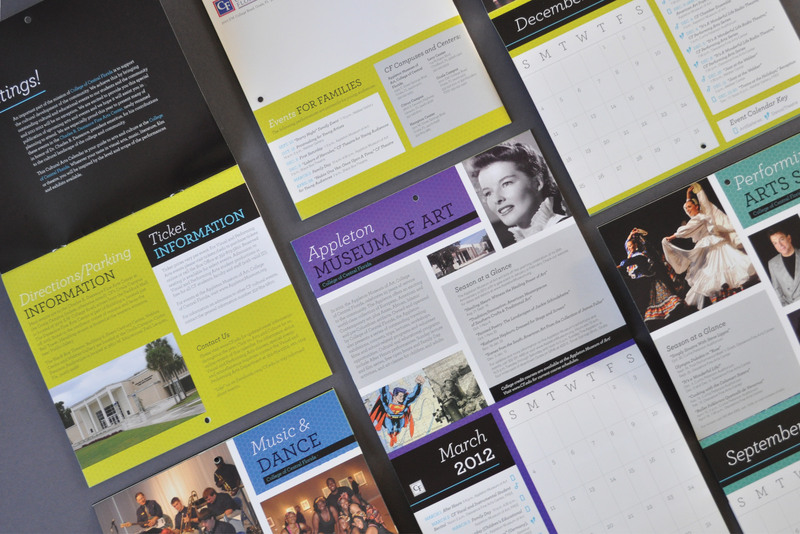 Candour had the opportunity to create a calendar for CF every year for four consecutive years and each one had different artwork and different color palettes, but the same layout and format for consistency from year-to-year. 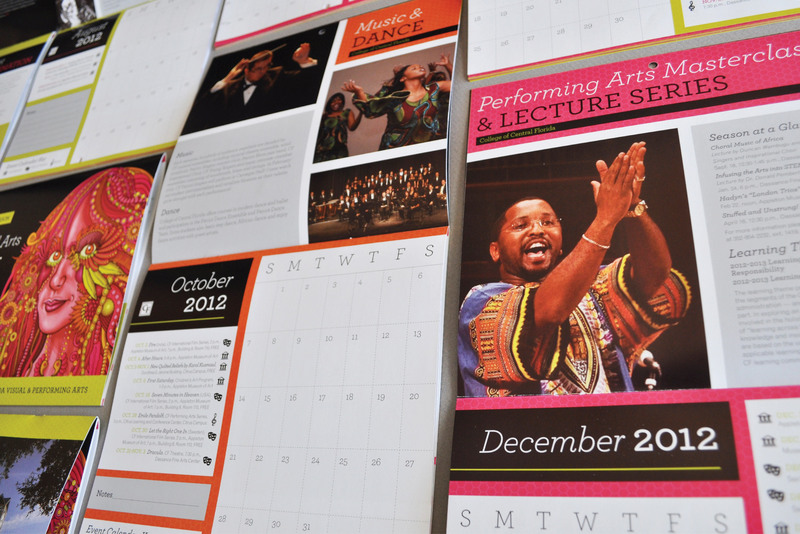 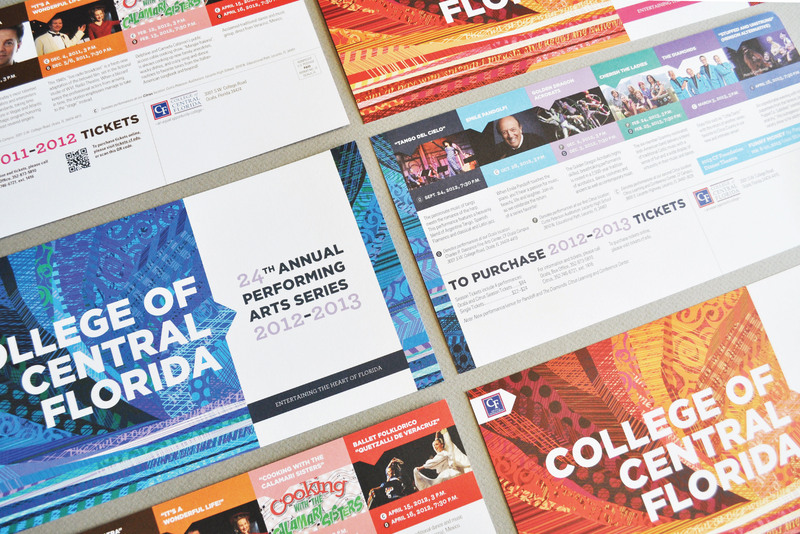 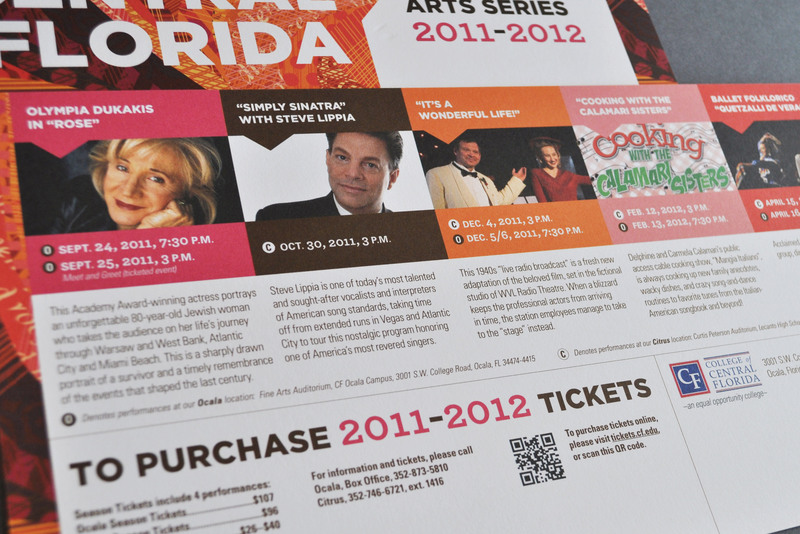 In addition to the calendars, we were also asked to create direct mail promotional pieces for various performances throughout the year.